"quite simply this is excellent theatre, thought provoking and challenging throughout and should not be missed." In the late 1970s a volatile teenager is shunted into her final foster home. 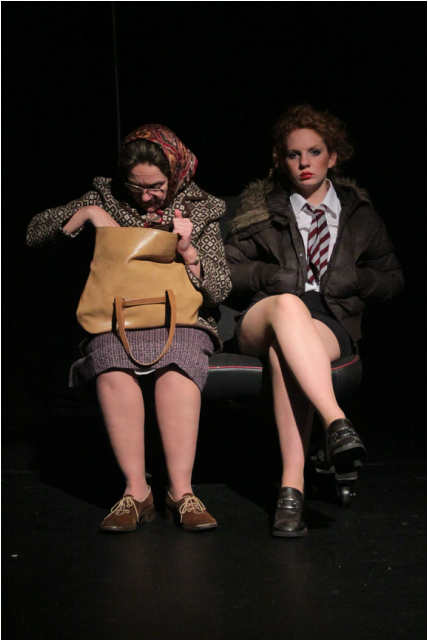 Her new carer is an eccentric chatterbox, who keeps her Kindertransport past buried in a trunk. As youth plays cat and mouse with age, their stories collide with devastating consequences. As youth plays cat and mouse with age, two parallel sets of revelations collide with devastating consequences. razor-sharp performances with film, a sumptuously evocative underscore and a striking stage design. The actors multi-role different parts as the action jumps between war-time and the 70's. It's just under two hours long.